Hanover, October 10, 2017. Continental is stirring up the market for next season with two exciting new tires for release at the international motorcycle fair, EICMA from November 7 until November 12 in Milan. The Korbach tire manufacturer will present the ContiRoadAttack 3 CR, a road-approved racing tire for vintage and classic sport motorcycles and the new Supermoto specialist tire, the ContiAttack SM EVO. Besides obvious Supermoto applications, the new ContiAttack SM is also ideal for the new breed of small Sport Bikes. The modern classic ContiRoadAttack 3 CR replaces the legendary, multi-award winning ContiRoadAttack 2 CR. 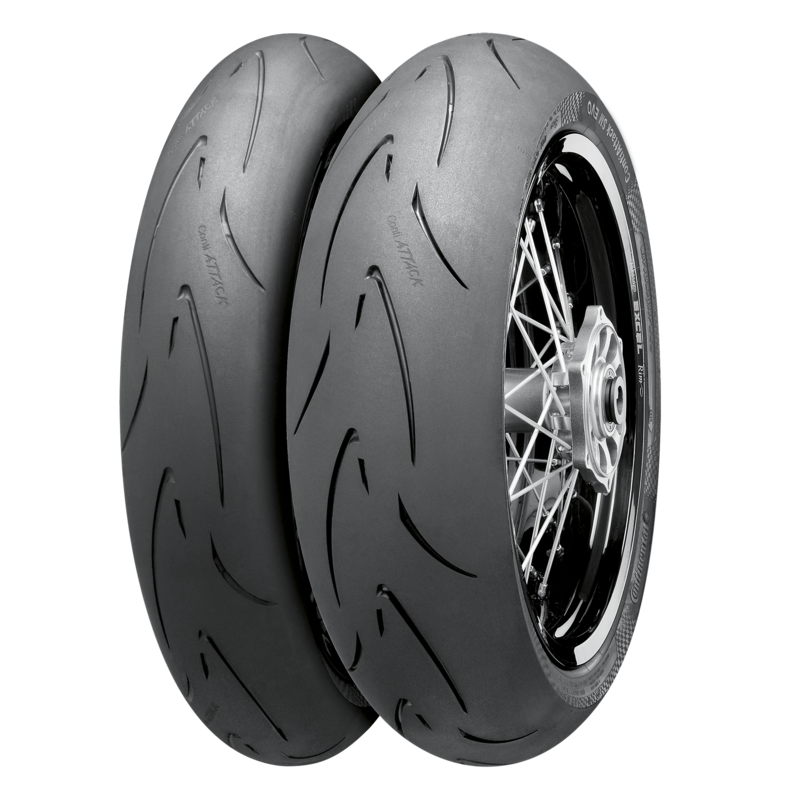 With its optimized racing compound, the ContiRoadAttack 3 CR provides maximum grip, outstanding handling and high stability even on narrow rims making it the first choice for powerful classic and vintage superbikes. The 150/65 R 18 size features a tread pattern optimized for maximum corner exit traction. With GripLimitFeedback technology and other Continental core technologies, the ContiRoadAttack 3 CR is the ideal choice for classic and vintage racers and serious street riders alike. Supermoto fans and riders of smaller sports bikes would be ideally equipped with theContiAttack SM EVO for next season. With the new compound for even more grip under changing road conditions from dry to wet, the ContiAttack SM EVO draws an uncompromisingly safe line. 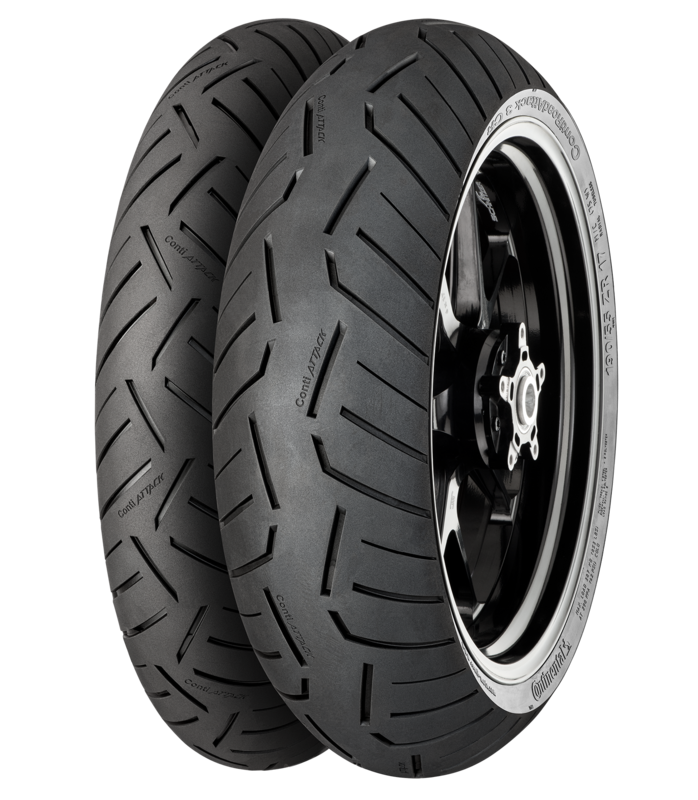 Easy handling, zero-degree steel belt design, TractionSkin and an easily-controllable limit area make the ContiAttack SM EVO the ultimate Supermoto and small Sport Bike tire for the road or track. The entire 2018 motorcycle tire range including rider assistance systems, engineand transmission control unit as well as emission control systems will be presented by Continental at the EICMA from November 7 until November 12 in Milan, hall 15, booth S27. Press Conference Tuesday, November 7, 2017, 12.45 until 13.15 at the booth.